Practice math-related skills with 60 numbers measuring 1-1/4" each . Includes 6 each of numbers 0-9, 30 yellow (odd) and 30 green (even). 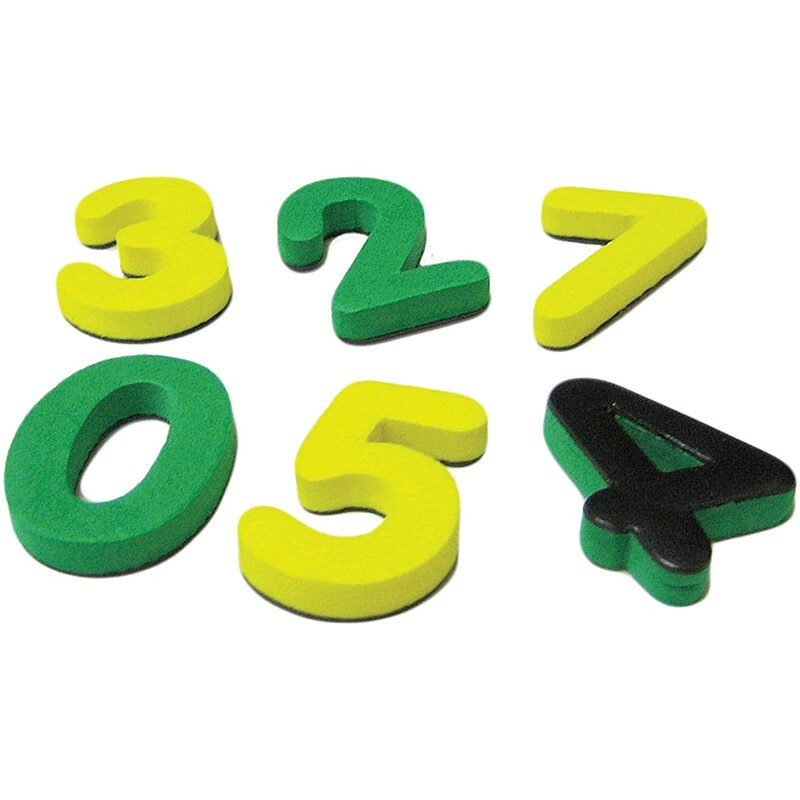 Lightweight, washable foam coupled with magnetic backing makes the letters practical for any setting. Comes in a resealable storage bag. Teaching tips are included.